Historical documentation shows us that tea is a very ancient elixir, that was first enjoyed thousands of years ago. There is just something comforting about a warm cup of tea that many of us are drawn to. They key here is warm… not hot. Researchers have discovered some very disturbing news for those of us who like to drink our tea hot. More on this to come. What’s so great about tea? Teas can be black, green, white or oolong. All of these are made from leaves from the Camellia sinensis plant. Herbal teas, such as peppermint and chamomile are not really pure teas but rather infusions of plants with different nutritional characteristics. The health benefits of tea are due to its high content of flavonoids. These are plant-derived compounds that are antioxidants. Out of the four tea types, green tea is the best food source, having a group of antioxidants known as catechins. According to Harvard Health Publications, catechins have shown to be more powerful than vitamins C and E in stopping oxidative damage to cells and appear to have other strong immune boosting and disease-fighting characteristics. Believe it or not, there is a method to creating the perfect cup of tea. Although the strength of your tea is a personal preference and the longer you let your tea steep, the stronger it will be, there are other things to consider. While previous studies have shown a link between drinking hot tea and an elevated risk of esophageal cancer, this new study is the first to examine this connection using specific tea temperatures. 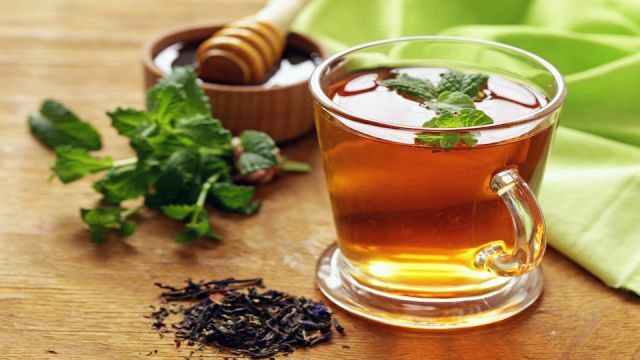 The International Journal of Cancer study followed and collected data on tea temperatures and esophageal cancer rates in 50,045 people in Iran. What researchers uncovered was that people who drank two cups of tea or more at a temperature of 140 degrees F or higher had a 90% increased risk of developing esophageal cancer when compared to those who drank fewer cups and cooled tea. Note: Because more research is needed to see if hot tea is specific to cancer or hot beverages in general, it is best to let all of your hot drinks cool a bit before consuming. The typical cup of tea served in the United States is well under 140 degrees F. However, just to be on the safe side, its best to let your tea cool down a bit after boiling your water. However, if you live in countries like Iran, Turkey or Russia, tea is made and consumed at a much higher temperature. When you purchase your tea, make sure that it has not been treated with epichlorohydrin. The National Institute for Occupational Safety states that epichlorohydrin is found in pesticides, coffee filters, paper tea bags and the casings of sausage. The main problem with this toxin is what happens when it comes in contact with water. Its composition is altered and creates a new form called 3-MCPD, which is highly dangerous. Also, avoid tea bags that are “mesh-like” or in fancy shapes. These are also likely to contain chemicals. Always buy organic tea, or you risk that it has been sprayed with pesticides. Don’t give up on your tea, just practice, as always, ‘caveat emptor’ when making choices for you and your family. Always use fresh and filtered water to make your tea – never treated tap water. The better your water tastes, the better your tea will taste. A team at the University of Northumbria’s School of Life Science found that the best-tasting tea resulted from 2 minutes of steeping followed by 4 minutes of setting. This allows the water to cool from boiling to an optimal temperature that encourages the strongest release of flavors. If the tea is left to cool too long, the flavors seem to be destroyed. While you can pour water over your tea bag and let it set, you can get 5x the antioxidant power from your tea by simply bobbing the bag up and down a few times in the water. Although this takes a little more effort, it is well worth it, especially if you want to get all of the health-promoting benefits from your tea. If your tea bag does not have a string, use a spoon to dip and remove the bag. As with any food, the less that humans have tampered with it, the better. Hey Buddy!, I found this information for you: "Scientists Say: Don’t EVER Drink Your Tea This Way". Here is the website link: https://www.thealternativedaily.com/scientists-say-dont-drink-tea-this-way/. Thank you.